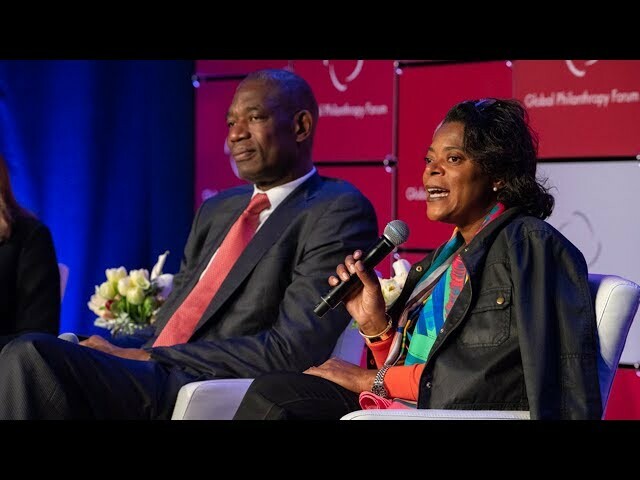 Dikembe Mutombo currently serves as the chairman and president of the Dikembe Mutombo Foundation whose mission is to improve the health, education and quality of life for the people in the Democratic Republic of the Congo. Mutombo is the first youth emissary for the United Nations Development Program and served on the advisory board for the Fogarty International Center at the National Institutes of Health. He currently serves on the boards of the National Constitution Center, Special Olympics International, the CDC Foundation and the National Board for the US Fund for UNICEF. He played professional basketball in the NBA for 18 years before retiring in 2009. In 2015, he was enshrined into the Naismith Basketball Hall of Fame. Mutombo has been awarded numerous times for his humanitarian work including: the World Economic Forum – Young Global Leader, Wilt Chamberlain Award – Operation Smile, NAACP Phoenix Award, President’s Service Award, the Henry Iba Citizen Athlete Award, J. Walter Kennedy Citizenship Award from the NBA, Ernie Davis Humanitarian Award, the Samuel J. Halsey Award, Laureus World Sports Award and Goodermote Humanitarian Award from Johns Hopkins Bloomberg School of Public Health. In 2010, he was recognized by President Barack Obama at Georgetown’s 8th Annual “Let Freedom Ring” celebrating Dr. Martin Luther King, Jr. He has a BA in Linguistics and Diplomacy from Georgetown University and honorary degrees from SUNY/Cortland, Georgetown University and Haverford College. He graduated from Leadership Atlanta in 2014.